Nike’s Doernbecher Freestyle program has become one of the most revered parts of sneaker culture, as it taps into the creative minds of patients at the OHSU Doernbecher Children’s Hospital, allowing them a chance to be a part of the design process of esteemed Swoosh Brand silhouettes – an acclaim normally reserved for employees of the sneaker industry staple. This year’s six piece capsule utilizes a number of Beaverton’s most iconic models the likes of the Air Force 1 Low, the SB Dunk Low, and the Air Max 97. 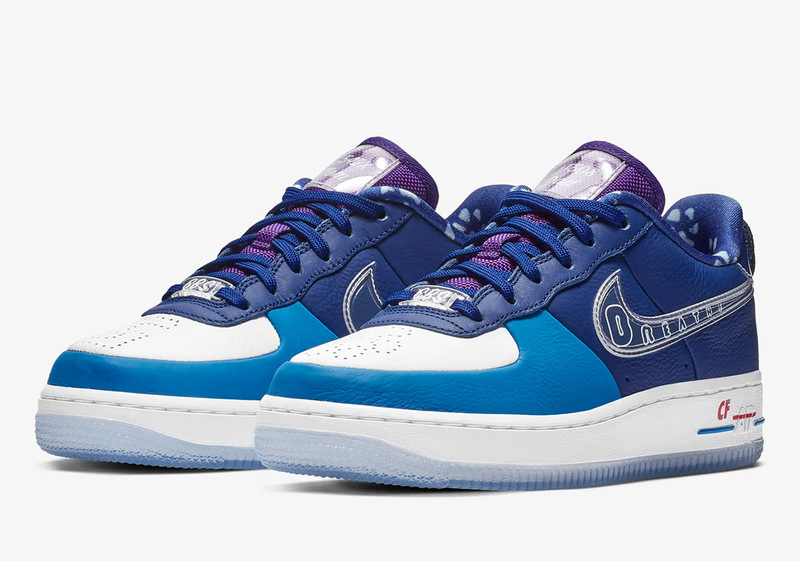 For the creation of the AF1, Beaverton called upon the creative stylings of Chloe Swientek, a 10-year old Portland native suffering from cystic fibrosis. Swientek makes it a point not to let this disease slow her down in life, and that is echoed in the creation of her sneaker, boasting her sports uniform number on its heel and toebox, and the word “BREATHE” in bubbly, cheerful font inside its lateral midfoot Swoosh. As a nod to her parents that aid her in her fight each and every day, “mom” and “dad” come embroidered on each tongue underneath the genetic mutations that led her CF. Finishing touches include a set of lungs on each insole designed to mimic butterflies, and an implanted device that helps her take her medication replicated underneath this model’s semi-translucent outsole. Alongside the rest of 2018’s Doernbecher Freestyle collection, Chloe’s inspirationally designed Air Force 1s will drop at 12pm ET on December 14th.